The Parramatta Town Hall was designed by G.A Mansfield and built in 1881 by Hart and Lavors. 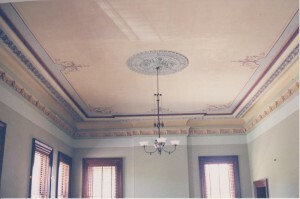 One of the most ornate rooms in the Town Hall is the Charles Byrnes room, which is located on the first floor, and was named after the Mayor of Parramatta at the time. 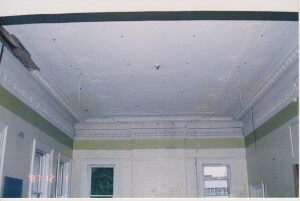 In the 1960s a suspended aluminium paneled ceiling was fitted to provide a more modern appearance. In 1999 the tiled ceiling was damaged by falling materials caused by water penetration which made it necessary for it to be removed. 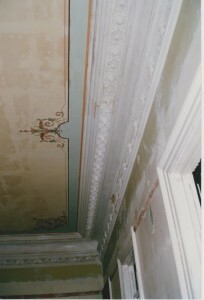 The original cornice was found intact except for the water damaged section which had collapsed. 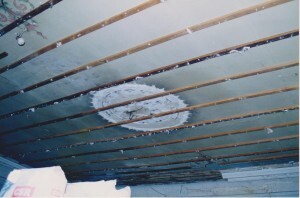 The centre of the ceiling had been replaced sometime in the 1950s with fibrous plaster. 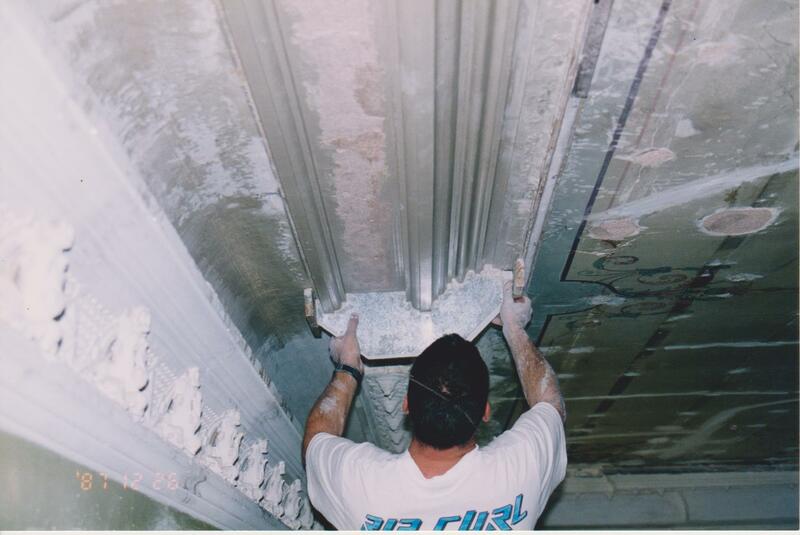 It was then decided that the fibrous ceiling be removed and the flat section of the ceiling, where the original plasterwork was thought to be missing be replaced with a new centre using light weight plasters on an expanded metal lath background. After removing part of the fibrous ceiling the original ceiling was found to still be in reasonable condition with hand painted decorations. This changed the whole scope of the works. 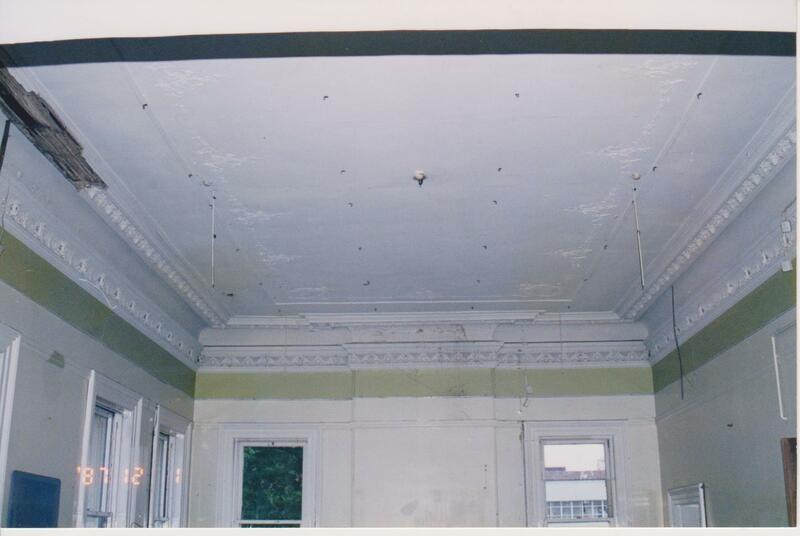 Now the original ceiling was to be conserved by wiring up the cornices and reinstating the plaster keys with acrylic resins. The timber battens were left in place to support the plasterwork while it was being stabilized. The timber battens were then removed and the minimum amount of repairs were carried out to conserve as much of the original hand painted decoration as possible.